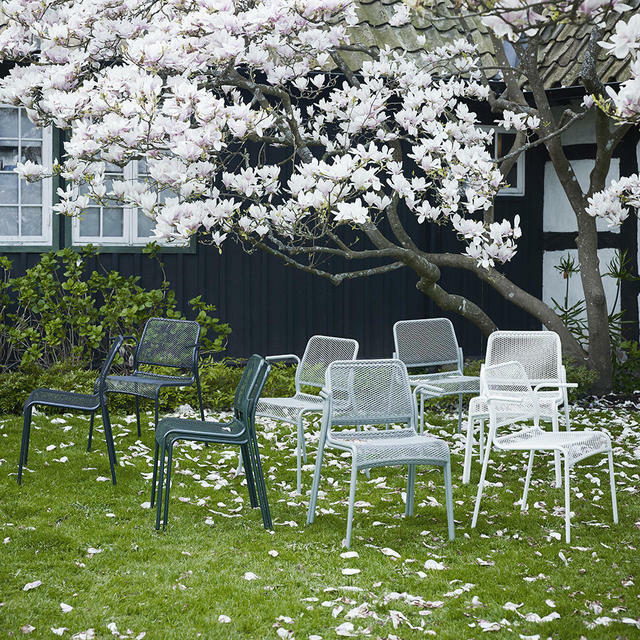 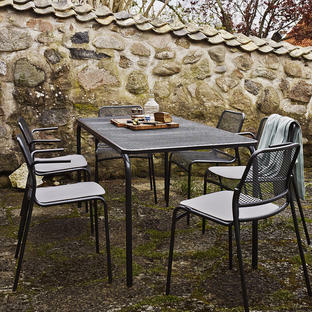 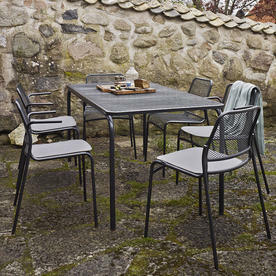 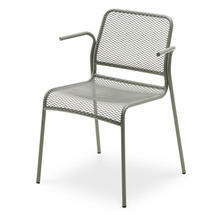 Metal outdoor steel mesh dining chairs. 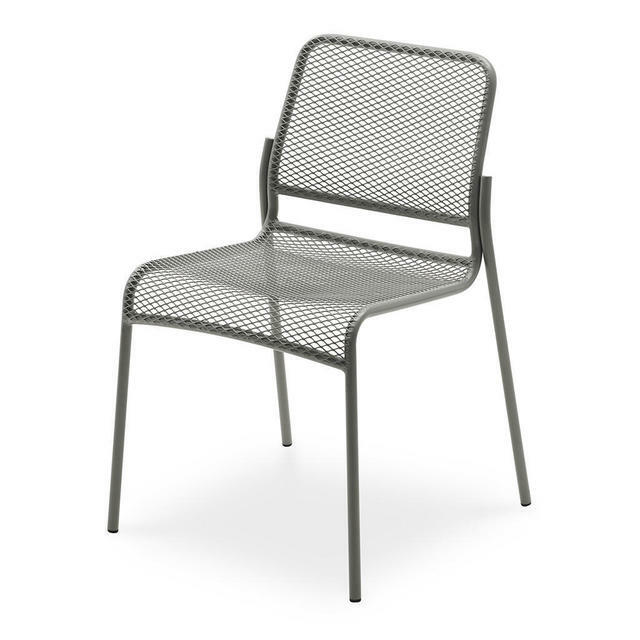 Mira Chair was designed by Mia Lagerman is is available with or without an armrest. 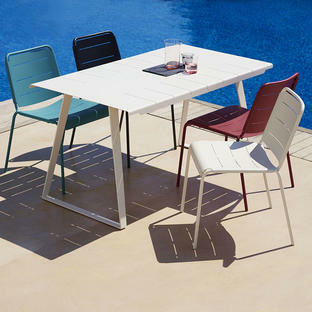 Easy to stack and easy to combine with tables. 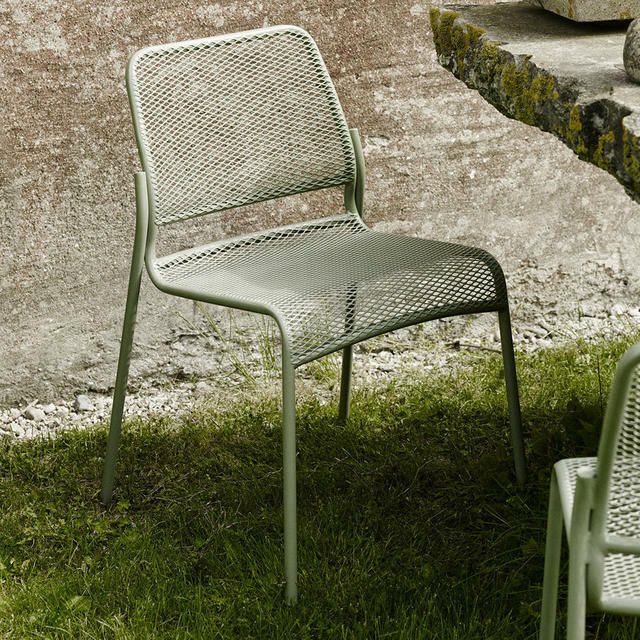 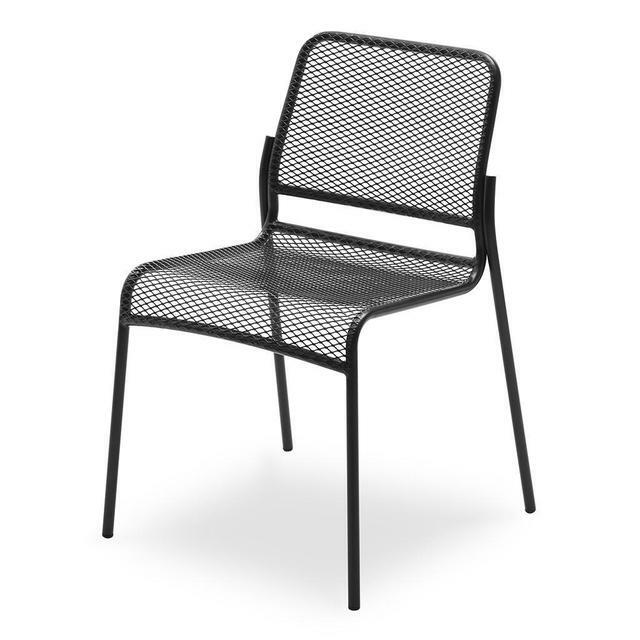 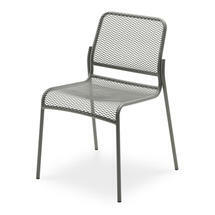 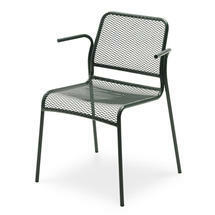 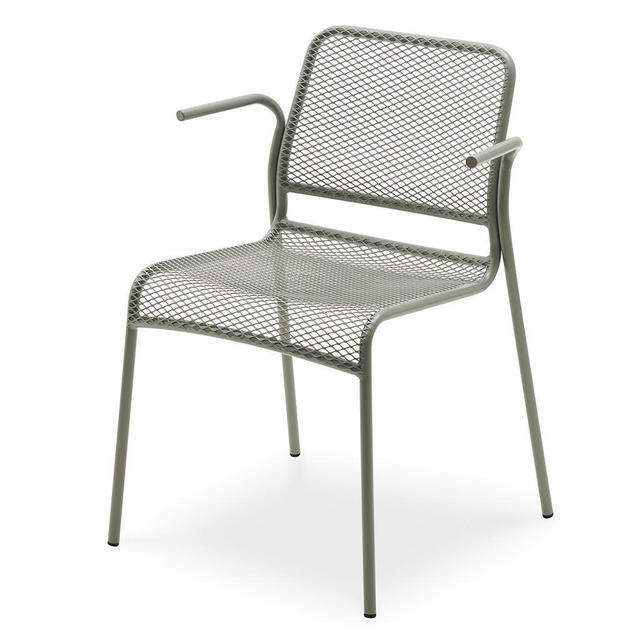 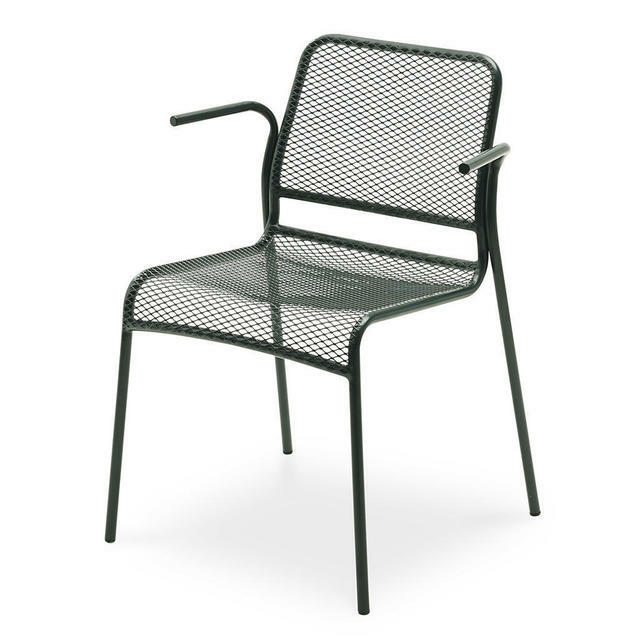 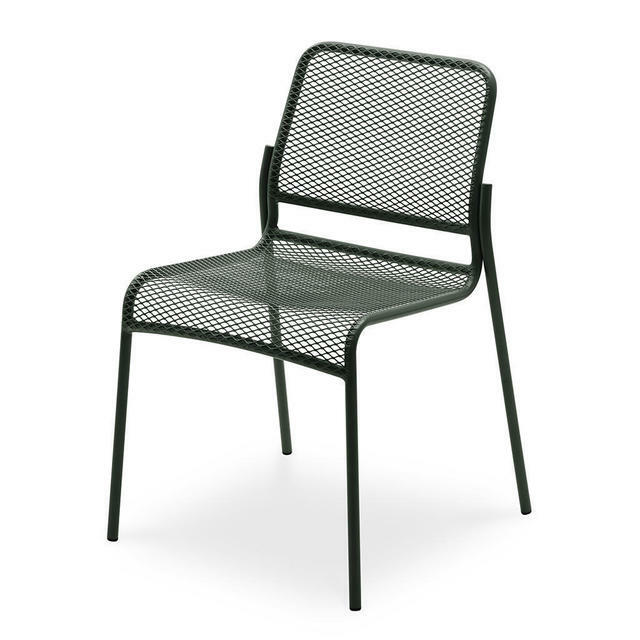 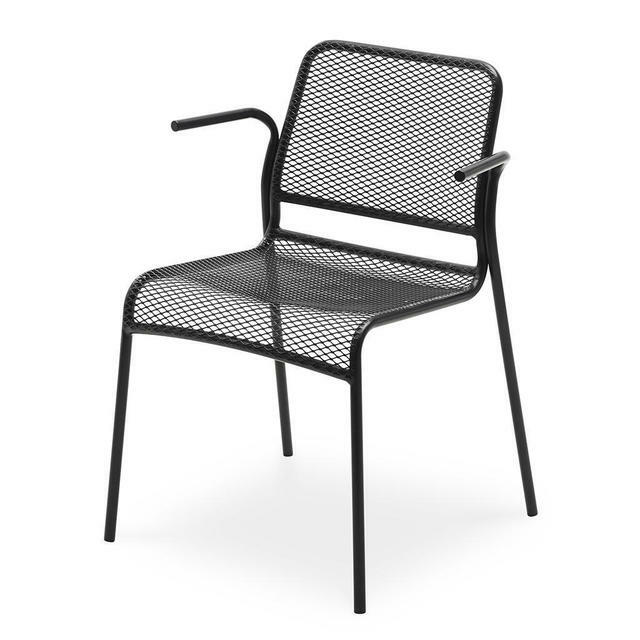 Powder-coated steel with wire mesh seat and back rest.